Combine the butter and milk in a small saucepot and heat to 110°, stirring constantly. Whisk the warm milk mixture into the dry ingredients. Whisk the eggs and vanilla together in a separate small bowl. 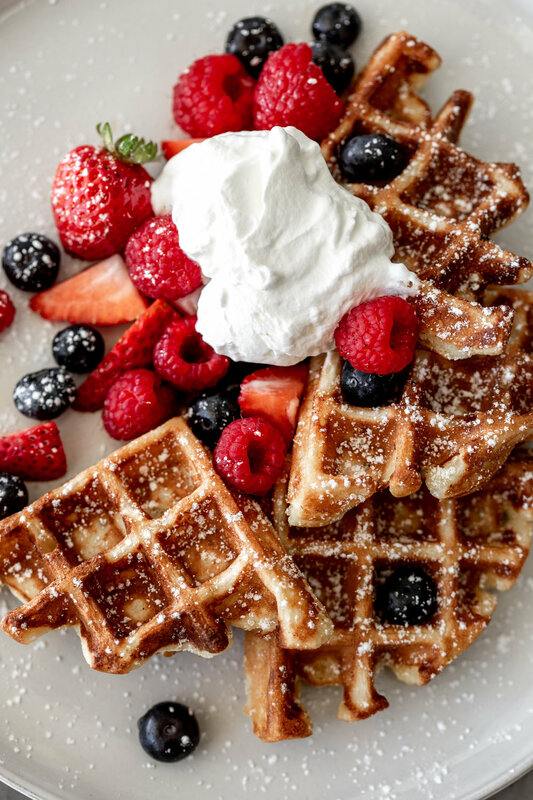 Add the eggs and vanilla to the rest of the ingredients, and whisk to combine.. Cover with plastic wrap and refrigerate 8 to 12 hours, or overnight. Take out of the refrigerator about 30 minutes before needed. Stir any air bubbles out of the mixture. Heat waffle iron and spray it with cooking spray in between each waffle. 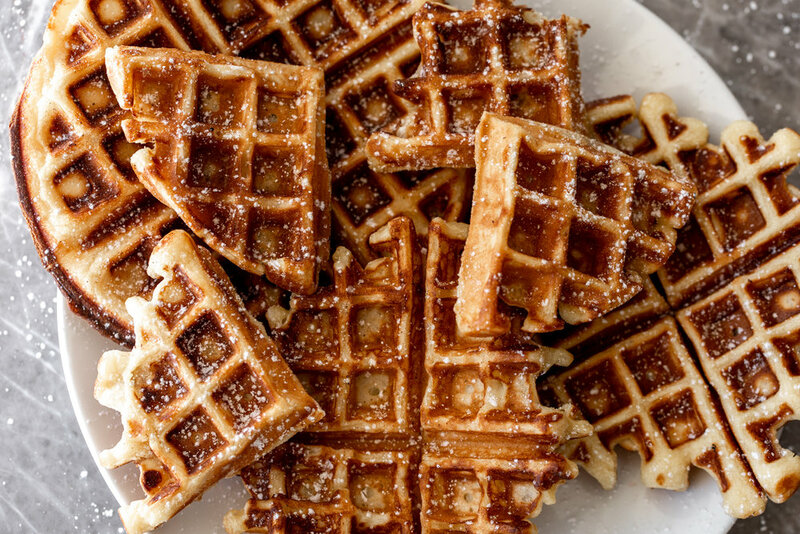 Do not fill waffle iron to the top as the batter will rise. Cook according to waffle iron directions. When golden, remove from the iron. 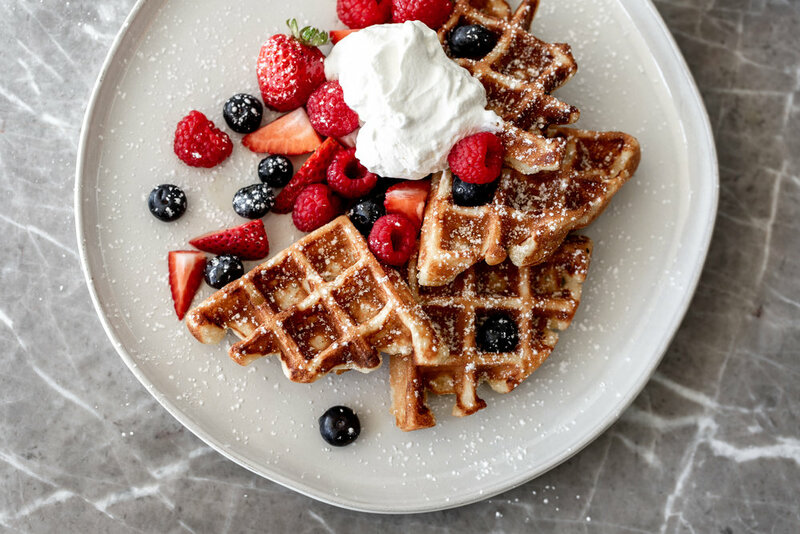 To serve: Top with whipped cream and berries for a Belgian waffle.